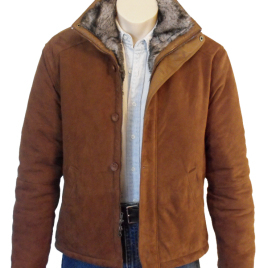 This rugged, yet stylish jacket features a genuine goat suede leather, double-closure front (zipper and button flapped), stand up collar and side hand-warmer pockets. 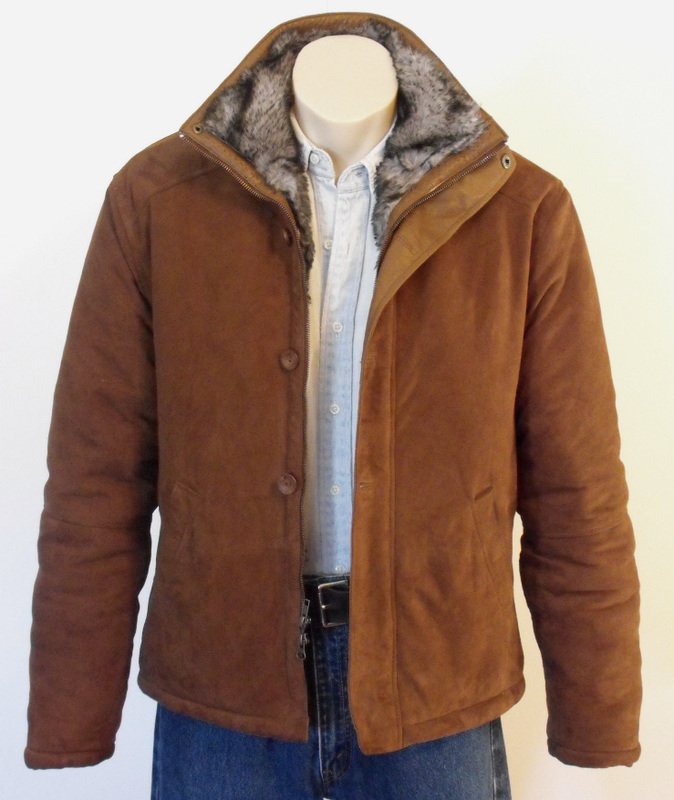 Fully lined in a timberwolf grey faux fur, this gorgeous winter jacket will keep you warm against the elements. 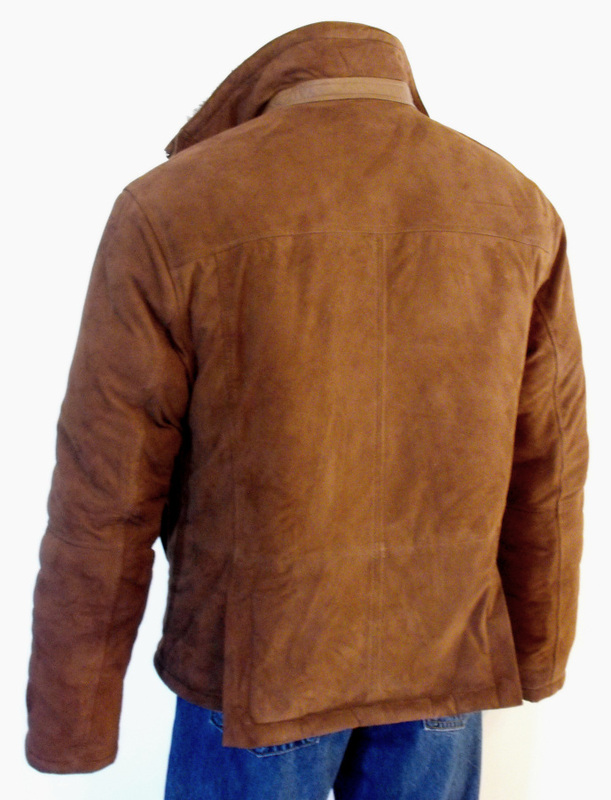 The back fo the jacket is double-vented for ease of movement and comfort. 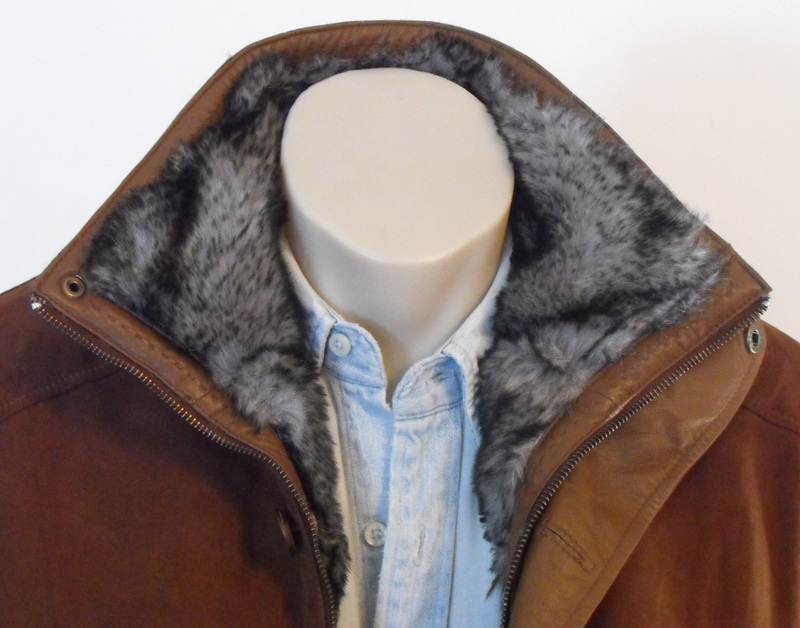 Shown in a jacket-length, can be made 3/4 car-coat length for the same price. Other colors, leathers and lining options are available by request.